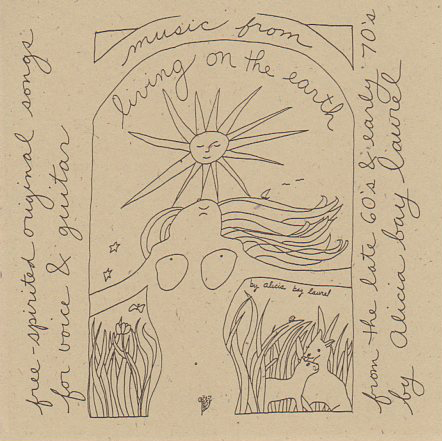 Posted on October 11, 2006 by Alicia Bay Laurel	in Blog. 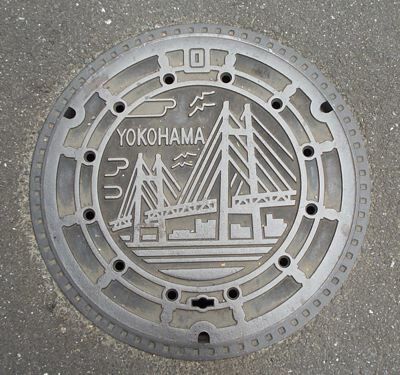 I am visiting musician, dancer and bodyworker Mayumi Hirai in Tsurumi, the section of Yokohama closest to Tokyo. Today she took me on a magical walk around her neighborhood. 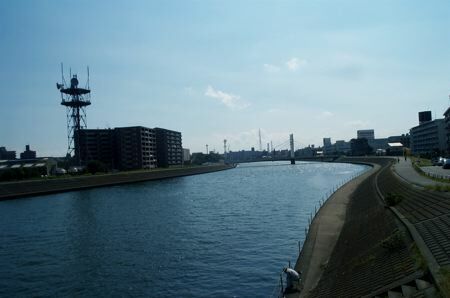 We walked along the Tsurumi River where it flows through an industrial landscape to the sea. 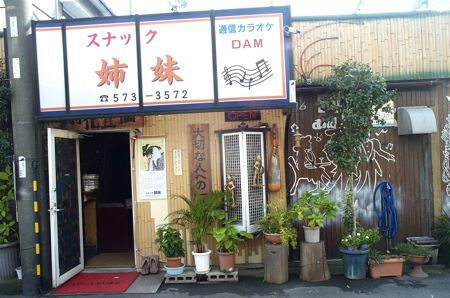 We passed a little karaoke bar with a bit of everything in its decor. 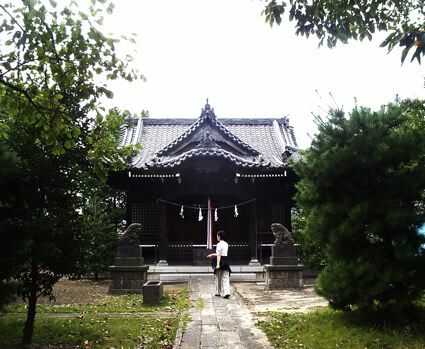 Mayumi showed me three beautiful old temples, and we silently prayed at the entrace of each one. 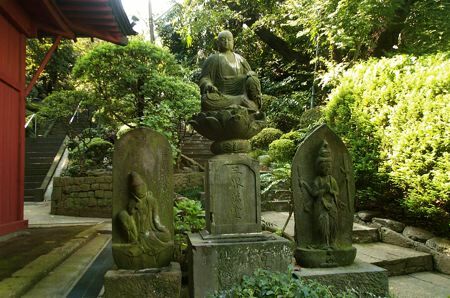 A trio of holy statues at the entrance to a temple garden. 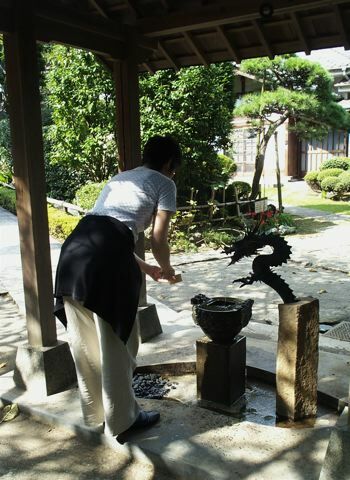 Before we approach the temple, we clean our hands and souls with spring water from the mountain on which the temple stands. 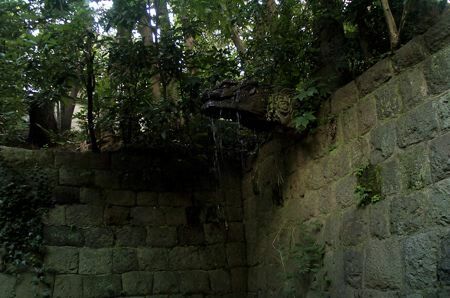 Dragon fountain in the temple garden. 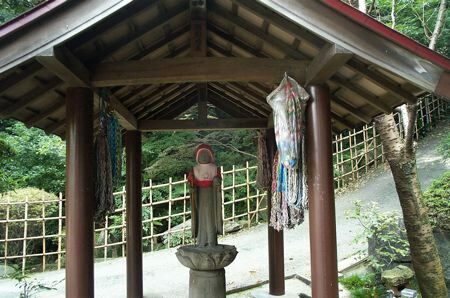 A shrine for children next to the temple. 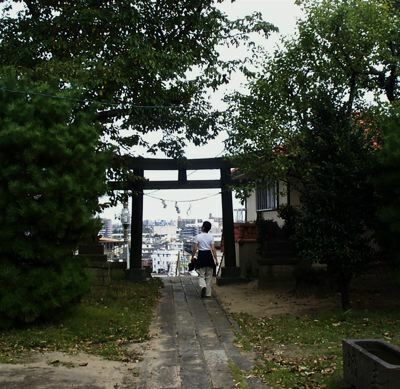 Leaving the Shinto temple through the torii. 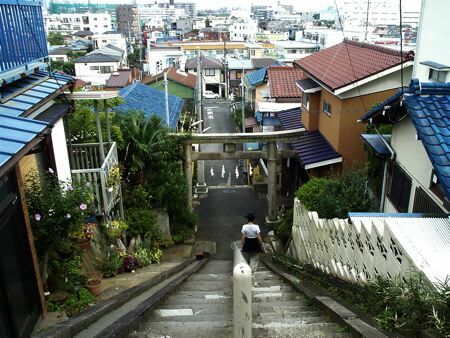 Down the stairs below the torii. 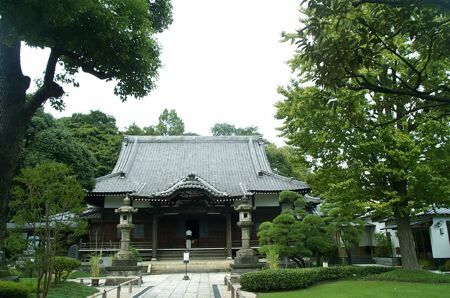 The Buddhist temple where the Hirai family’s ancesters lie. 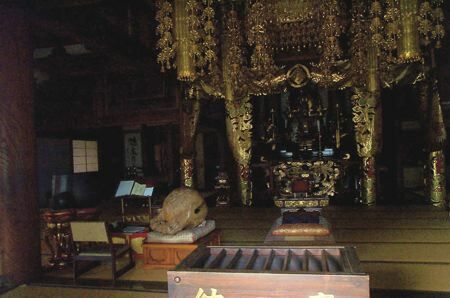 The magnificent interior of the Buddhist temple. 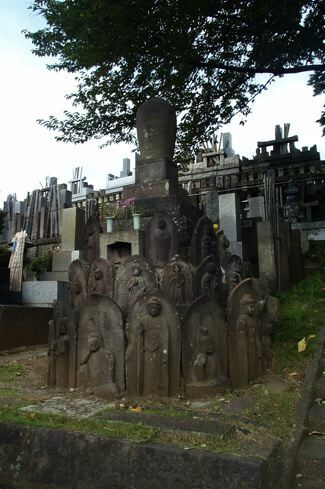 Funerary statues in the cemetery behind the Buddhist temple. 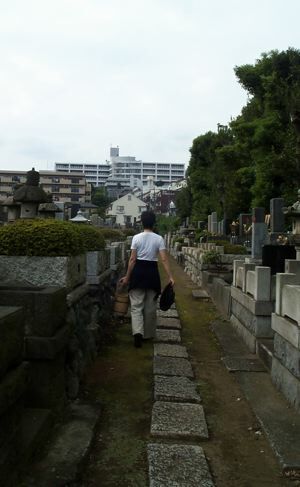 Mayumi brings water to refresh the spirits of her ancestors. 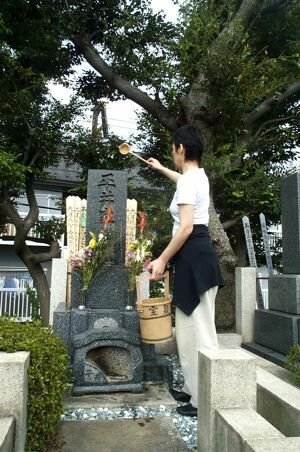 She tenderly pours water upon the tombs of her family members. 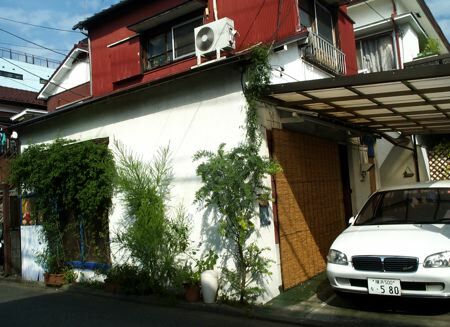 We return to Mayumi’s apartment on a quiet side street, downstairs from her parents’ home, to which she returned five years ago after decades of travel and learning. 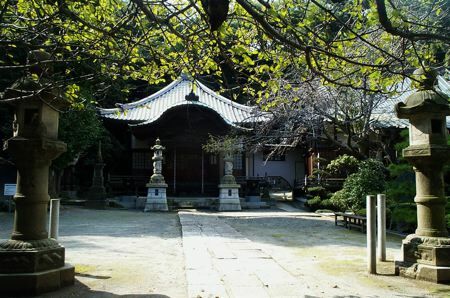 She prepared us a scrumptuous lunch of healthful traditional Japanese foods–lotus root, edamame, tofu, sea vegetables. 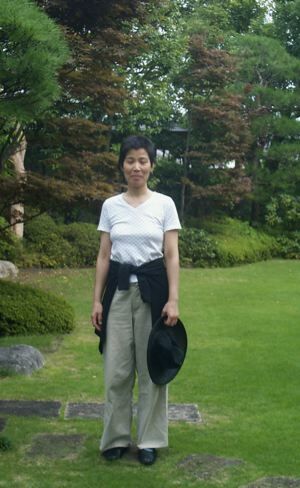 Now, while I am writing this blog, Mayumi plays her shamisen. Sometimes life is just SO good.